Just regular folks. 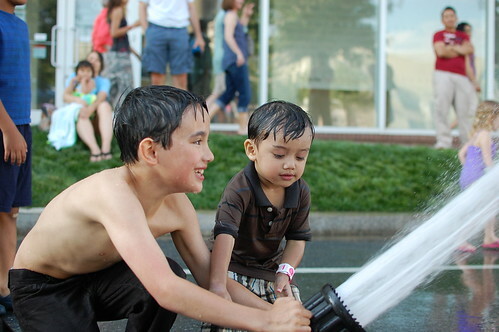 : Fire hose. It's a scorcher out there. 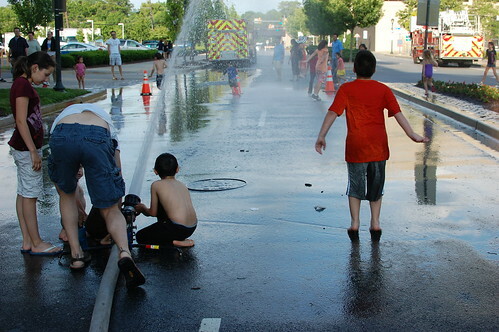 Nothing better than an open fire hose to cool off.